The Leopard 39 is available in a luxurious three cabin owner layout. Two guest cabins are located in the port hull with a shared central head and stall shower. Well ventilated with opening hatches and ports, the cabins offer plenty of storage and excellent lighting. Adjustable reading lights, full size hanging lockers and shelving add to the practicality and comfort of this area. Powered by two inboard diesel with several engine choices and coupled with efficient hull design, the Leopard 39 Powercat offers exceptional fuel efficiency and range. The innovative stepped hull design increases volume while minimizing the wetted hull surface, giving exceptional load carrying capacity and ensuring optimal performance. The helm station is fitted with an electronic double lever throttle, Tridata display, depth & speed gauge via GPS, and autopilot control. This area also features a handheld VHF radio with loudspeaker plus a second handset & speaker at the salon electrical panel. 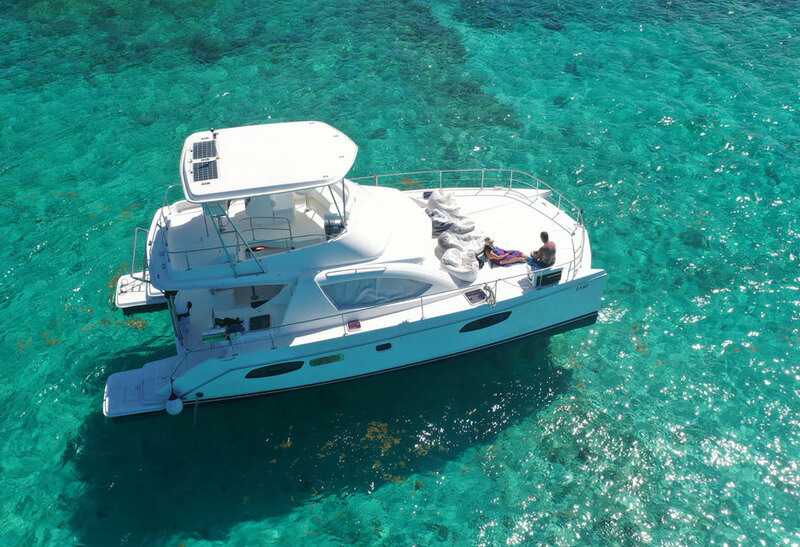 This beautiful power catamaran is available for private charter by the hour; the concept is simple, you can charter the boat to go snorkeling, tour around the lagoon or island and you just pay by the hour. 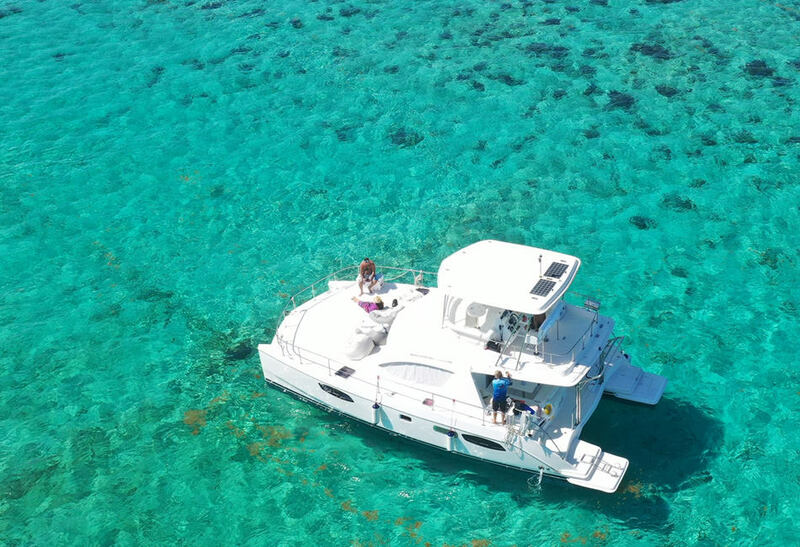 Charter this beautiful power catamaran by the hour and choose your own itinerary; snorkeling, sightseeing or lunch on the water.